Centre Stage Curtains are used to separate the stage into segments. Centre Stage Curtains are used when a smaller stage area is desirable for more intimate performances. They may also be used to hide equipment and backdrops at the back of the stage. 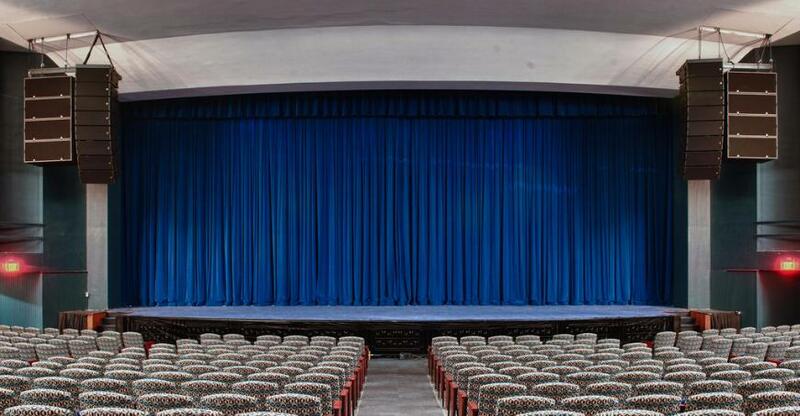 Mid Stage curtains are the second layer of curtain system that divides the stage into half. It is used to mask the settings going on behind the drape, when first act is still running. When the second act starts, a new setting can be revealed to audience without the interruption of closing the main valance. It is also used for pre-setting the stage for final scene or act. The most appropriate setting is gained with a traveller, or a horizontal curtain splitting at the centre. These are backed by wings and side stage curtains. `The audience gets a concentrated view of the stage, enlarging towards the viewers. The choice of fabric and colour can vary, depending upon your theme. We have a diverse colour palette from which you can select the right shade, to the minutest difference. Special fabrics and inherently flame retardant fabrics are also available in made to order styles. Scrims can also be incorporated to the mid-stage, solely depending upon the demand of customer. Approximate Size - 50ft. X 20ft.